Moves Air FastFew things cool a large area better than the CountyLine Barrel Fan. This heavy duty 36 in. industrial fan provides high-velocity air movement that rapidly chills the room, and removes stale air and odors.Made From Pr..
Few things cool a large area better than the CountyLine Barrel Fan. This heavy duty 36 in. industrial fan provides high-velocity air movement that rapidly chills the room, and removes stale air and odors. 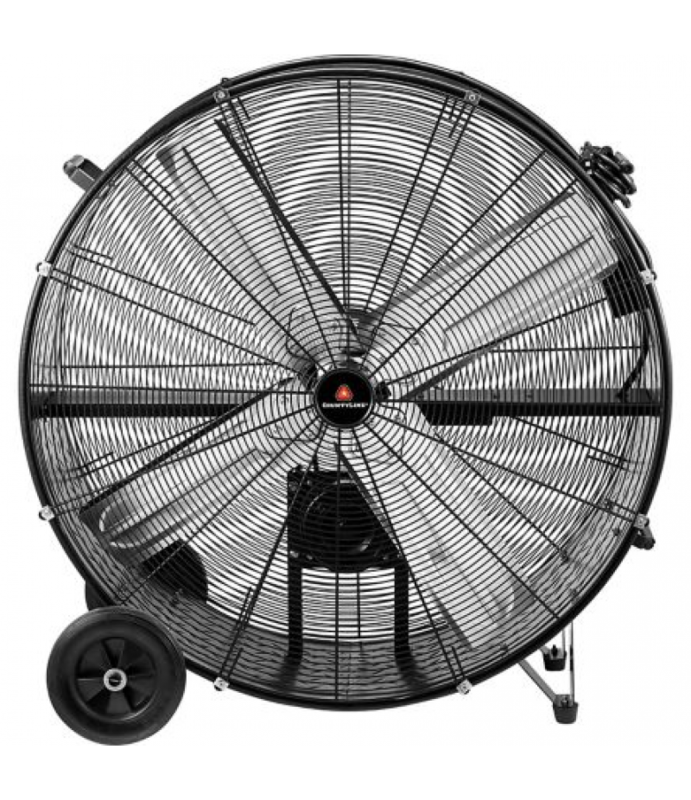 The CountyLine Barrel Fan has high quality metal blades, matched with highly durable motors. Made from industry-grade powder coated steel, this drum fan is also resistant to corrosion and rust. Conveniently, the CountyLine Barrel Fan has 2 levels of power for you to choose from. Choose between low mode (8,600 CFM) or high mode (10,800 CFM) to cool large rooms like factories, warehouses, garages and barns. Designed with mobility in mind, the CountyLine Barrel Fan has two rugged wheels that make moving it around easier than ever. It also has a convenient side handle for further portability.